Sizing Guide A mixture of synthetic leather, premium Cabretta leather patches and Mizuno flexmesh technologies provide incredible grip, feel, fit and all round performance. 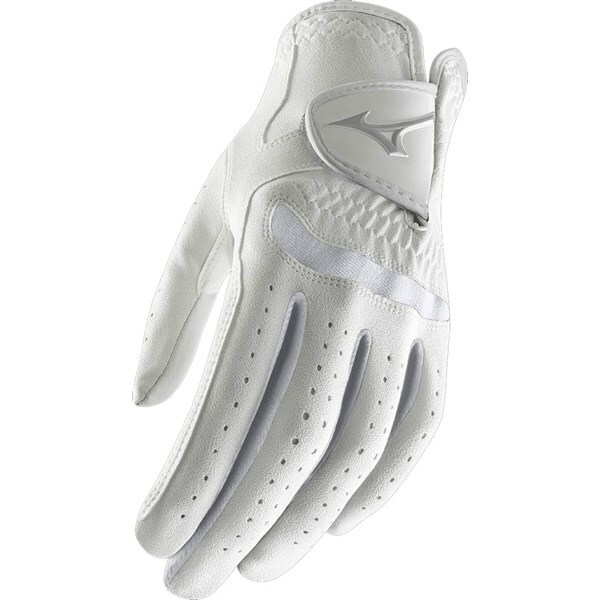 Premium Cabretta leather has been used on the thumb and palm of the Mizuno Ladies Comp golf glove to provide incredible feel and grip. 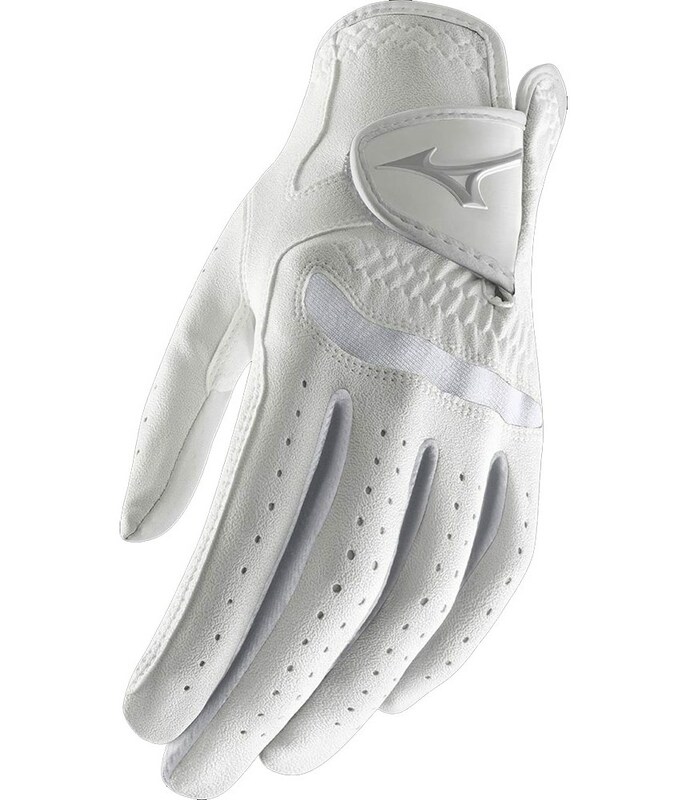 A synthetic leather has been used on the rst of the glove to enhance the fit and durability and then flexmesh has been used to provide exceptional comfort and enhance breathability.